up a driveway, 400 feet off the road with a large circle at end big enough for semi to turn around . we are home most of time, but do like to get away too. Pleasant stay after some long driving on a farm near Jerome..
A courteous host and all amenities. Got some badly needed rest. Thank you Darwin and Linda for the warm welcome and amazing site for us to stay at. Great location on our route south from B.C. We highly recommend these hosts and will definitely come again if we are in the area! The Spot is the Full Meal Deal, Darwin is an Excellent Host! When you stay here, you get not only a place to park - you get a spot that rivals any RV park, including a power pedestal, a frost free water spigot, a sewer dump and WiFi! Darwin helped us get in and positioned, and we chatted a little bit after we arrived. In the morning, he invited us into his house for coffee, and we gratefully accepted! We had a very pleasant visit over coffee! This is one place where you will want to offer to reimburse the host for the power, he may not accept it at first but if you put $5 on his coffee table, he will be appreciative! He has hosted more than 60 BW guests this year, and in my book, that makes him a champion host! We had always stayed at Walmart in Jerome before BW, and we were just blown away by this host and host site! Highly recommended! Thank you again for letting us stay on our way back to Canada. This was our first experience on Boondockers and we couldn’t have chosen a better spot! Our hosts were so kind and helpful. It was a lovely and easy way to begin our journey. So grateful. Quiet and pleasant with easy on off freeway. Arrived to a warm welcome and amazing accommodations. Nice quiet location just a few miles from twin falls, we will definitely come again if passing through! 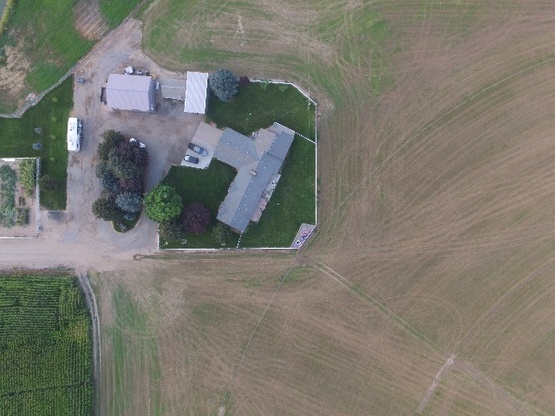 Nestled in acres of farm land, Host welcomed & directedme to park next to a great lawn & pumpkin patch. Surrounded by beautiful farm land, Hosts offered a "full hook up"! Wow! Gratefully utilized the electric & water, especially since my RV propane furnace wasn't working. Host was so kind, came in and tried various connections & even drove me into to town to check w a RV mechanic and when returned, found was a broken Thermostat! Host was so kind, he picked one up when out and installed it! What kindness!!! Poured all day on 2nd day, but I was warm & dry with a gorgeous view. This was our first Boondockers experience and it far surpassed our expectations. Great hosts, very welcoming and friendly. 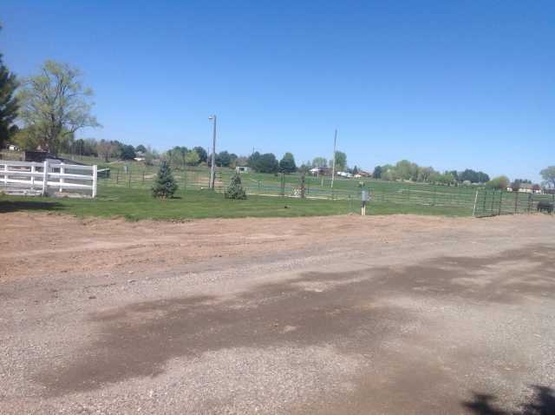 Directions to the farm are perfect, easy to find and the site is easy to navigate. Thank you so much for taking the time to give us advice for camping and boondocking and sharing your camping expertise. We had a great time and hope to see you again someday. Thanks so much for hosting! Great location and wonderful hosts. Close to town yet out in the country. Awesome sunsets. Thank you for taking the time to give us an awesome tour of the Twin Falls community. We kayaked the Snake River and enjoyed the bike path to the Shashone Falls. Our dog loved walking the farm fields for some exercise. Would definitely return to this great BW location. Wow! We thoroughly enjoyed our stay with Idaho556. They were so accommodating (as we arrived a day early, and at night). Super quiet spot in Twin Falls and a great host. We would love to come back and stay longer! Thank you for hosting us! I was greeted with a warm welcome and had a very easy and safe time in their spacious driveway. Thanks so much for hosting! We had the pleasure of staying with Idaho556. Easy access off/on freeway. Clear, specific directions to property, parking and hook-ups. Kind and considerate hosts. Close enough to town activities and local attractions, but out far enough road noise or light pollution not an issue. Enjoyed beautiful sunsets and a big full moon. The host location is perfect and the hosts are exemplary. What a wonderful oasis after a long day of travel! Our hosts were friendly, helpful and welcoming. We enjoyed chatting about travel and RVs. The site is everything an RVer could want - level, space for maneuvering, a lovely patch of green grass to the side of our rig, with trees and a garden just beyond that. We had a wonderful stay at their property. Very helpful, fun to talk with, and great communication. Would recommend! We felt like part of the family! What a fabulous experience. Our hosts were wonderful and truly cared about our wellbeing. We found America right in the middle of Idaho. Thank you for accommodating us. Hope to see you again soon. Had a terrific stay with Idaho 556. Site was conveniently located just out of town. Good directions, level private site. Darwin graciously offered to be our private tour guide for a day and took us to locations we would have never discovered. Hope we are able to meet up again! On the outskirts of town, (Jerome) is this little diamond in the rough. We had 30amp, water, sewer, and a green lawn with garden, right along side of our 5th wheel. A host willing to make our stay enjoyable, & it was. What a fantastic family and host! Our family stayed here over the weekend on our way to Utah. Our fridge went out on the way, but our host quickly offered up his fridge/freezer to help us save our food. We were so thankful for the hospitality. Bonus, their grandkids were there so our boys had playmates for the whole weekend. As a full-time traveling family, this was such a blessing! Thank you so much for generosity - we only wish we had been able to meet Linda as well. God bless you! What a wonderful stay! Lots of sharing travel notes around the fire, on a nice warm evening, with other travelers too! Idaho556 is very welcoming and sicial. We had a great time and would certainly go back if we visit the area for a longer time. We had a comfortable stay in a quiet location and enjoyed visiting with our host. Definitely would recommend Idaho556. This was our second Boondockers stay. Parked facing the garden. Had a nice visit with Darwin as he was waiting for the second Boondocker to arrive. Great host, show us around the farm, made us feel right at home. Another couple was staying there too, Darwin broke out the camp fire and we all had a memorable evening telling tales around the camp fire! Idaho556 made us feel at home from the first minute we meet,we had talkes,walkes and shared great times together, we will always cherish the time we had together. Thank you very much for your kind hospitality. Loved our stay here. Very friendly and interesting. Could not have been better. This was my first stay with Boondockers Welcome. If you are arriving after dark here be sure to double check the address on the mailbox. My gps put me in the neighbor’s narrow driveway and I had a hard time getting back out. It was the middle of the night and I am certain I was an inconvenience,but still Darwin was so kind and helped me out and got me where I needed to be, so the kids and I could get some much needed rest and continue our journey safely. Idaho556 were two incredible hosts, especially for two brand new RVers. We were greeted before we could finish even setting up and my wife was given fresh cut flowers from their garden. Their property was beautiful and peaceful but the hosts were the highlight of our stay. They reinforced all of the good qualities of folks that we hope to encounter on our new adventures. After what seemed to be an extraordinarily long and hot travel day with temperatures in excess of 100 degrees, we arrived at Idaho556's oasis. Within a few minutes we had the opportunity to be introduced and with greetings all around, became well acquainted in short order. What a delight! Staying here seems very much like staying with family or good friends. Although our time spent here was brief, we thoroughly enjoyed ourselves in this beautiful place and enjoyed the warm and genuine hospitality. We hghly recommend that if you are in this area and in need of a evening's respite that you spend it here, enjoying the abundant hospitality beautiful surroundings offered by Idaho556. Our host was great! We arrived latter than expected and it was easy to find in the dark and easy hook up. Idaho556 welcomed us in the morning and we had a great conversation, then we were on our way. I wish we had been able to stay for more time, but we had to get on the road. Thank you for your hospitality! We stayed one night here and really, really appreciated the full hook-ups and being cool in the high heat. These two are a wonderful couple that I wish we'd had more time to get to know. Thank you for the stay and when we settle in Boston, you are more than welcome to come visit us! We had a great time with Darwin and Linda. They welcomed us very friendly and helped us to find a garage to fix our RV. They guided us around their beautiful area thanks again for that. In the evening we met their family and have been invited for their family dinner. Thanks again for giving Turner such a great time at your place. If you visit Germany just let us know we always have a place for you to stay ! We had a wonderful stay. Our hosts were very inviting and shared a game of Yahtzee with us. They provided all services offered and more. True honest American hospitality. Thanks you so much for having us. Our host helped us get set up and made recommendations of what to see. We thoroughly enjoyed Snake River Canyon, Shoshone Falls, and Ritter Island. The site was great and even had a beautiful sunset. Also was fascinated watching a large bird sitting on an electric pole. Hope we can get back here to spend time with our hosts. The hosts are absolutely delightful. We very much enjoyed staying with them and getting to know them. They have a large space with full hookups IF needed. These hosts went above and beyond to make us feel welcome and to help us enjoy and learn about their area. We highly recommend this Boondockers Welcome host! We can't wait to see them again! What a WONDERFUL visit we had with Idaho556. We arrived about 3PM and they were not yet home but had given us specific directions so we setup and got settled in. A short time later, they got home and we had a quick conversation getting to know each other. We were offered a chance to ride out to see Shoshone Falls and accepted with pleasure. My goodness, if you ever have the opportunity to see these falls, do not miss it, they're BEAUTIFUL and we are very grateful for our hosts going above and beyond. They've given us something to strive for. Thanks for the great visit! We had a wonderful one night stay with this host. The spot was easily accessible and had all the amenties we could ever want. A nice evening was spent with our host talking and having a glass of wine. We highly recommend this host. We had a wonderful stay even though it was only one night. The host went above and beyond with their hospitality. Will definitely stay here again the next time I’m in Idaho. If you stay with Idaho556, it is glamorous camping when it comes to boon docking. It was an extremely easy in and out with full hookups. Idaho556 is an ideal location for Shoshone Falls and they shared their information and tools to get us unhooked and site seeing in a jiffy. Very nice people with a very quiet location close to shopping and site seeing. What a blessing to spend our first ever Boondocker experience with Idaho556! “Sure! Come on in!” Lovely, quiet, country setting with gracious hosts! Thanks so much! This was a great place to spend the night in our travels. We arrived late, but were able to say hello in the morning, before pulling back onto the road. The farm was peaceful and quiet. Being the Christmas season, we were delighted to see a Nativity and beautiful lights on our arrival. What an amazing couple! They graciously welcomed us and were so kind and hospitable. They had great advice on some of the places we plan to visit soon! Beautiful and quite location. We would definitely stay again if we are ever in the area. What a blessing it was for our family to be hosted by Idaho556! Besides the AMAZING set up on site, we felt safe AND rested well on their property. They were very understanding when we arrived later than planned but still graciously met us when we did and even helped us get settled. Thankful to them for allowing us to stay AND were a great first Boondockers Welcome experience for us! I could go on and on about how great their space is and how comfortable and safe I felt being there. Very accommodating, great recommendations on places to see in the area and PERFECT site! Giant hugs to you both and Thank you from the puppy and I. We got in late than planned but our hosts had a nice set up already waiting. We awoke to the pleasant sound of cows lowing. We appreciated the quick response and wonderful recommendations for stopping at Crater of the Moon National Monument and other places in and around Yellowstone. Highly recommend! We had an amazing time here. And such a warm welcome! We had requested just one night but were encouraged to stay another to see all the beautiful spots here on the Snake River. Twin Falls has so much to see and do. We even managed to catch some base jumpers in action. But, by far, the best part was meeting such wonderful people - our hosts. Thank you so very much! We have just spent the night with Boondockers Welcome Idaho556. 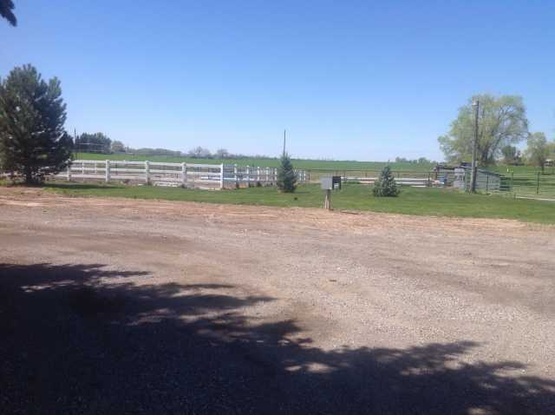 The location in the Idaho countryside is convenient to the interstate and easy to get to with no problem. In addition, the hookups were easily accessible for parking our RV. We really liked the farm setting. Several bird species and you wake up in the morning to the songs and chirping. We slept very well with the windows open. Our communication via email was answered promptly, and Idaho556 was understanding when we changed our arrival date, We enjoyed sharing tales of rv travels, and appreciated the advice given to us for the best roads on our northward journey. We would highly recommend Idaho556 if you are in this area of the country. Hosts are very generous, offering 30 amp, water, and sewer at a perfect, private, level, gravel parking location. We had a great time with our hosts, enjoyed the RV and travel conversation. We went to the recommended Shoshone Falls. The falls were amazing as the water flow was way up and the park is a great place to spend a few hours relaxing and enjoying the area. We sincerely hope to meet up with the hosts again down the road. We had a very relaxing and enjoyable stay. Well exactly 5 months after our first stay, we are on our way home from our big tour of the USA southwest. I called up to say hello to our host,just as we where passing thru Twin Falls, and Idaho556 was so kind to invite us to stay overnight again at his home. This is such a wonderful spot and we really wanted to visit with him again. We got a chance to visit and I'm feeling very grateful. He and his family are welcome to boondock with us or stay over in my home any time if my RV parking is full. I would recommend this boondock highly. We couldn't have asked for a nicer spot to overnight. The view was wonderful & we had a full hookup. Our host was welcoming & accommodating. We wish that we had a chance to visit longer but we were in a bit of a hurry to get home. This is a great host. What a pleasant surprise! Idaho556 is such a nice person to get to know. A true country gentleman. 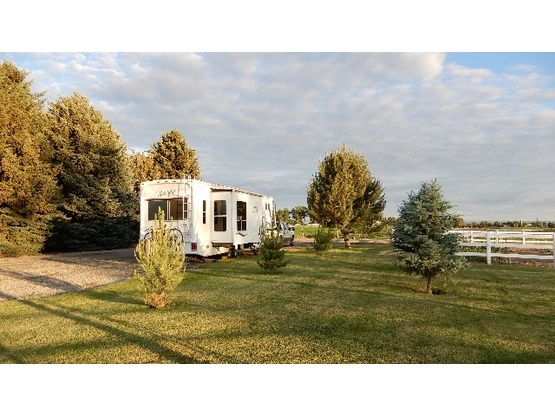 The RV site is spacious and with full hook up available, it is so convenient. The grounds are beautiful, we enjoyed stunning sunsets and a lush green lawn in November! Jerome city shopping is only 3 miles away, and we stocked up at Walmart. He helped us locate the top sights to see in the area. Twin falls is only 9 miles away and we saw base jumping off the Perrine bridge which crosses the majestic Snake River Canyon. We went to see Shoshone Falls, and climbed to the top of Evel Knievel's launch ramp where he attempted to jump the Snake River Canyon. On September 8, 1974, with much media fanfare, daredevil Evel Knievel tried and failed to leap the mile-wide chasm of the Snake River Canyon on his specially engineered rocket motorcycle. His drogue parachute malfunctioned and opened on take-off. There is so much more to see we want to return. We hope Idaho556 will come and stay with us when he travels thru BC again. What a beautiful place to rest for a night. Peaceful, quiet and the hosts are generous and super accomodating. They even let us dump there and we had to borrow a piece of hose to do it. Thank you! This host has 2 other reviews.